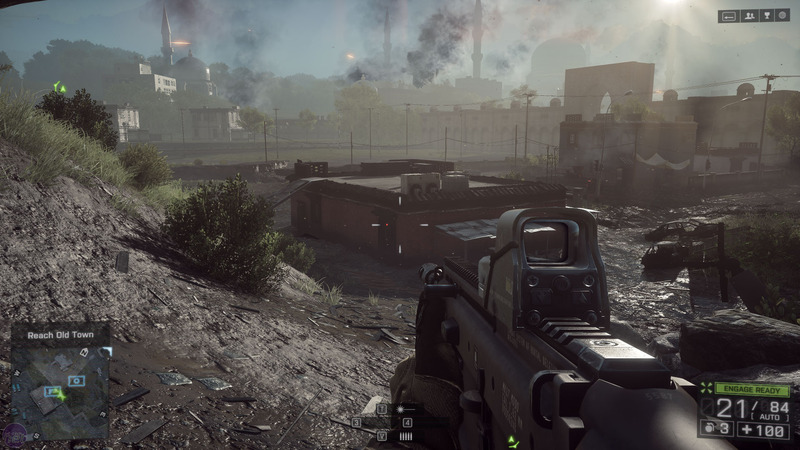 Battlefield 3 was considered a massively demanding game when it first launched, and for that reason we've used it as a GPU benchmark ever since. 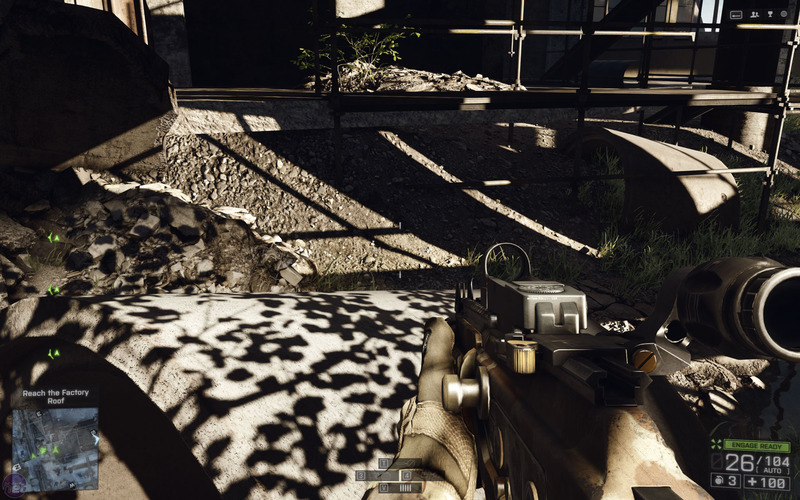 Now, however, while it still has plenty to punish graphics cards with, it's started to become one of the easier games in our test suite to run. With the recent release of Battlefield 4 and a whole new engine to go with it, it's out with the old and in with the new. We've gathered as many of the recent generation of graphics cards as possible and benchmarked them in DICE's new shooter, generating hundreds of results for your viewing pleasure in the process. 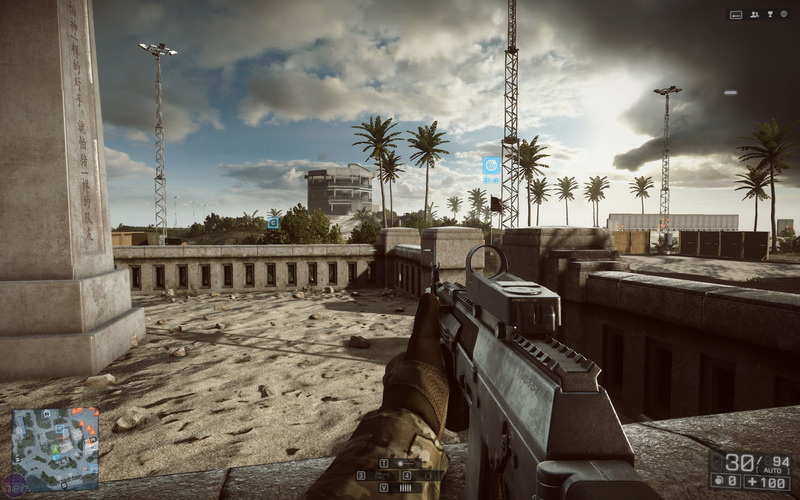 Firstly, however, we'll take a brief look at the graphics settings you can expect to greet you in Battlefield 4. 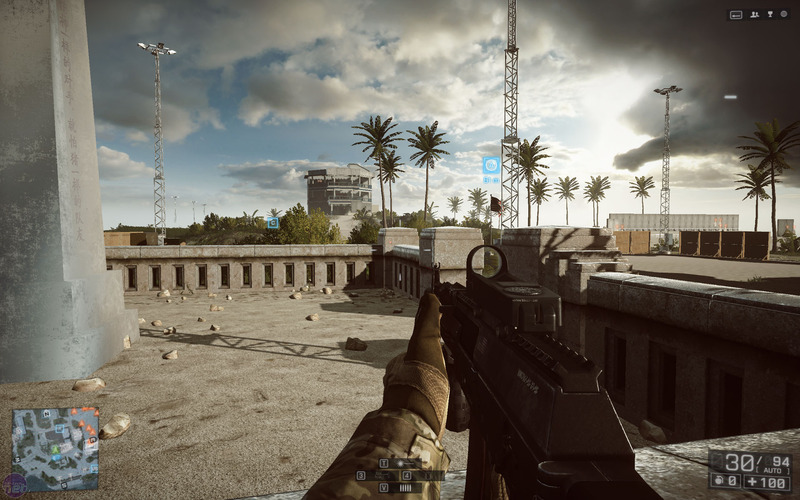 Battlefield 4 features four visual presets, which we've reproduced in the table below for easy reference. However, you can also customise the individual settings as you see fit should you wish. There's also an 'Auto' preset that will attempt to set the optimal settings for your hardware, and you can use Nvidia's GeForce Experience software or AMD's Raptr program to do the same thing with more accuracy. As you can see, there's a fair amount of variation between the highest and lowest presets. This is indicative of how scalable the Frostbite 3 engine is, something that should allow it to run on lowlier hardware as well as the most powerful stuff. This is unsurprising given that DICE had to ensure the game's smooth operation not just on the Playstation 4 and Xbox One, but on their predecessors too, both of which now feature positively ancient hardware. In this example scene, there are only very subtle differences between the ultra and high presets, with even the lack of MSAA not being too apparent. The foreground shadows lose some of their softness and parts of the background are slightly reduced in detail, but generally high is very close to ultra in terms of what you'll actually see. Moving to medium is much more apparent, as the lighting and shadows become less dynamic (look at the pillar on the left, for example) and the foliage in particular loses more detail. Dropping to low is by far the most dramatic change, however, as the terrain in the foreground demonstrates. Shadows and lighting are much simpler compared to the other three presets, as are certain textures, while jaggies also become more apparent thanks to the lack of any anti-aliasing whatsoever. Of course, this is only one scene, and the differences you'll see will vary depending on the specific part of the game you're in. Nevertheless, in our experience, the low preset was consistently the most noticeable downgrade, with high being a subtle but pleasant step up from medium, and ultra bringing few visual benefits compared to high. While not all of the individual settings show quite so clear differences, the Lighting Quality one is one of the most noticeable. In this scene, we left everything else at the ultra preset, but even so there are clear differences. 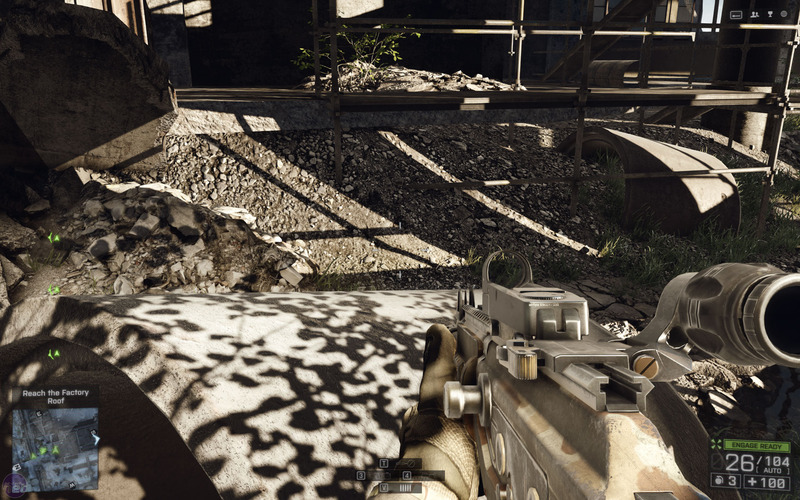 At high, there's a slight reduction in shadow softness from ultra, while the lighting becomes much less complex at medium as the scene is filled with dark, solid shadows. Then, at low, the scene is even less dynamically lit and the shadows have very hard edges, while the more complicated shadows from the foliage behind us are eliminated entirely. Post Process Quality: This option changes the quality and detail of certain effects that are applied to the image you see after its initial rendering. 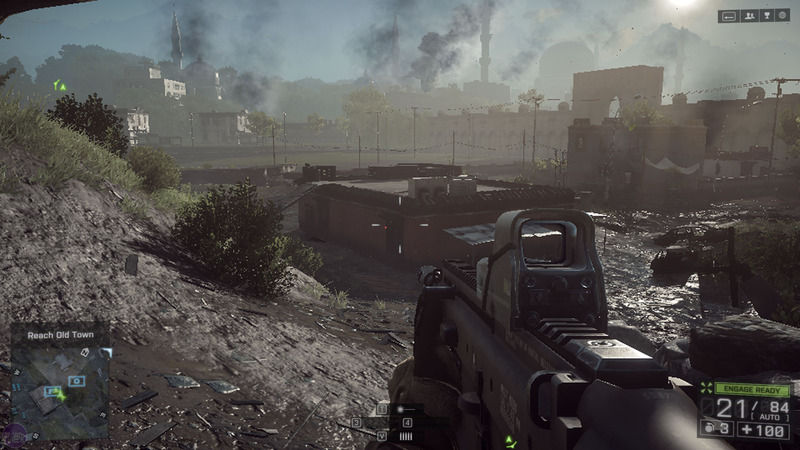 While it varies from game to game, it typically includes such things as light blooms, depth of field and colour correction. Resolution Scale: This is presented as a separate slider with values ranging from 25 to 200 percent (default 100). Setting this to a value above 100 enables super-sampling. Unlike multi-sampling anti-aliasing (MSAA, which is controlled by the Anti-Aliasing Deferred option), which is a selective form of super-sampling whereby edges in the image are detected and smoothed, the super-sampling here applies to the entire image. 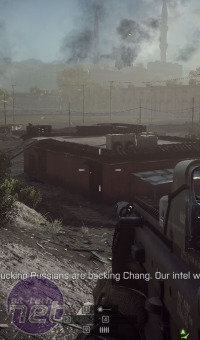 For example, at 200 percent, the game will render and sample from a 4K resolution just to produce a 1080p image as it doubles the 1,920 x 1080 pixel count in both directions to 3,840 x 2,160. The upside is that the entire image will be smoothed out, including the insides of objects and less obvious edges, as every single pixel will be calculated from multiple sample points. On the flipside, settings lower than 100 percent will cause the game to render at a lower resolution before upscaling it. 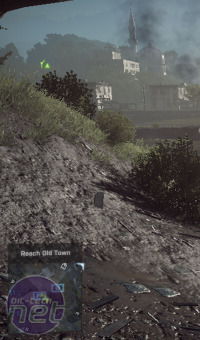 Although this looks little better than simply reducing the overall resolution by the same amount, it has the advantage of keeping the HUD elements at the native resolution, thus making them sharper and only take up the same amount of screen space. 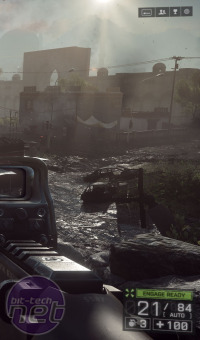 For each of the three above images, a resolution of 1080p was used along with the ultra detail preset but with both anti-aliasing settings disabled so as to highlight the effect of super-sampling. At 50 percent, the image outputted is disastrous, and illustrates the effect of such a low resolution. 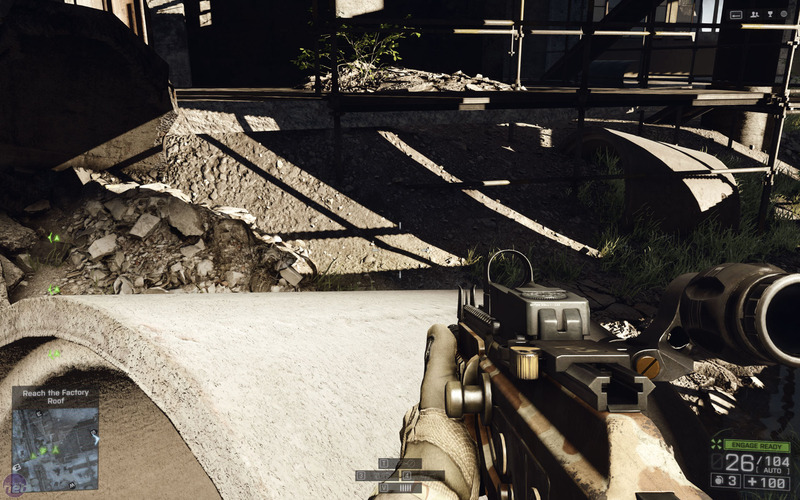 At 100 percent, the game looks good, but the absence of any AA is definitely apparent. Meanwhile, the 200 percent setting looks stunning and incredibly crisp all over, with even the distant church spires showing little sign of jagginess. The downside is the performance hit that comes via essentially rendering at 4K to achieve the effect, and we'll be testing just how much of a hit it really is in a moment. Performance boosts for Assassins Creed IV: Black Flag and Need For Speed: Rivals too.